TV with Thinus: SA's Advertising Regulatory Board rules that Showmax's binge-watching TV commercial about an obsessed employee in the workplace isn't offensive, doesn't contravene ad code. SA's Advertising Regulatory Board rules that Showmax's binge-watching TV commercial about an obsessed employee in the workplace isn't offensive, doesn't contravene ad code. South Africa's advertising watchdog in a ruling has dismissed a complaint that a commercial for the video streaming service Showmax about the behaviour of binge-watching TV shows at work sets a bad example or is offensive. Piet Nienaber lodged a complaint with the Advertising Regulatory Board (ARB) over a TV commercial showing a call centre employee at an appliance repair service who is completely distracted watching MultiChoice's subscription video-on-demand (SVOD) Showmax service on his cellphone. The employee is rude to a caller, walks away from his desk pulling along office equipment as he's engrossed in watching, walks past a bank of pictures where viewers see that he used to be the employee of the month, he takes a fellow employee’s sandwich, and returns it to her bitten; and he runs his finger through the icing of a birthday cake. The commercial is part of Showmax and Vodacom's joint "Zero Bucks Given" promotion. 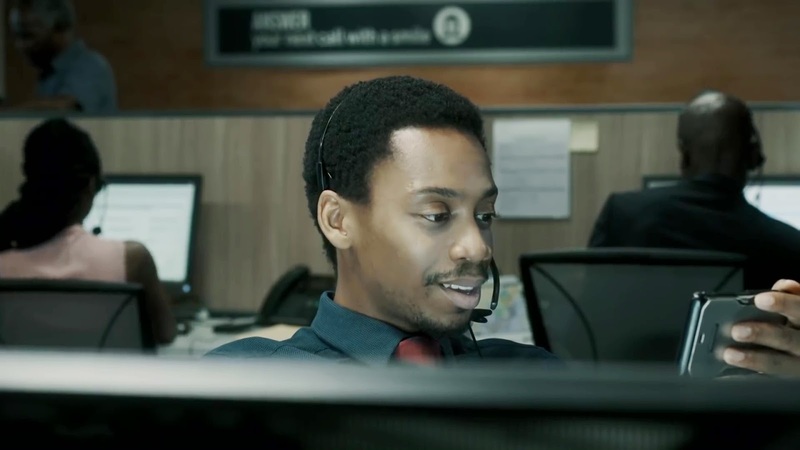 Piet Nienaber complained that the underlying message being portrayed in Showmax's commercial is a complete disrespect for the employee's work environment and fellow workers. According to him, the TV commercial is shown on different channels and viewed by young people, who get the wrong impression of how to behave at work. Showmax told the ARB that its commercial does not encourage irresponsible behaviour as the advert is humorous and satirises how a person with zero concerns could act in the workplace. The ARB in its ruling found that "It is a reality that some employees tend to neglect their work duties by chatting on social media on their cellular phones or playing computer games at work." "The commercial communicates how distracting the Showmax offer is in a totally over the top way, and the hypothetically reasonable consumer would not take it as a suggestion of what is normal and acceptable behaviour in a workplace – at least not by a person who meant to keep their job." "In addition, the employee eventually leaves the workplace – using an emergency exit – clearly knowing that he cannot watch his Showmax and keep his job at the same time." The ARB found that Showmax's TV ad isn't offensive and doesn't contravene clauses of the Code of Advertising Practice.